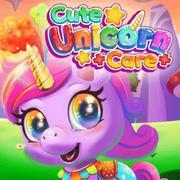 Cute Unicorn Care Take care of a cute magical unicorn in this beautiful animal and girl game! 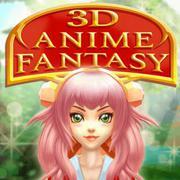 3D Anime Fantasy Explore this magical fantasy world in 3D and create an amazing outfit for the cute anime girl! Autumn Dresses Autumn marks a new season in fashion, so start setting some trends! Joe Jonas at the Club Joe Jonas is jonesing for a night out, but his outfit will need a woman's touch! Caring For Teddy The best way to care for your teddy is to give him a beary bewitching look! Trendy Autumn Fairy The seasons are changing, and now it's time for the autumn fairy to shine! Makeover Designer 2 Give everyone in the family a makeover so they can document this picture-perfect moment! Twilight Jacob Dress Up Get Jacob dressed while he's still in his human form! Lady Gaga Loves Makeovers Lady Gaga would be lucky to have you as her makeover consultant! PJ Party Dress Up Comfortable won't cut it for a PJ party—fashion is the name of this game! A Day at the Beach Dress Up A day trip is a great excuse to get sandy in style! Cute Goth Princess Dress Up This goth princess is out of control, and she won't take fashion advice from anyone but you! Lavender Girl Dress Up Why look pretty in pink when you can look perfect in purple? Dress & Play: The Coffee Cafe Get dolled up for a day of hanging out with the girls at your favorite coffee cafe! Aqua Fashion Style Get this aqua-loving fashionista made up for a day by the sea!